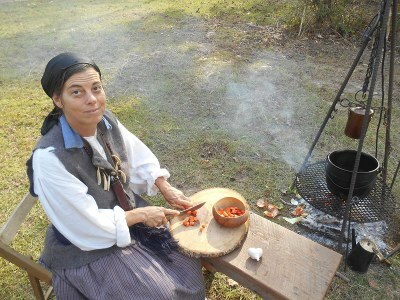 Travel back in time to see how early pioneers cooked. You'll see traditional recipes being cooked and also a modern recipe that you can try at your own campsite. Volunteers and a ranger will dress in period clothing to bring the past to life. There may even be a little banjo picking around the campfire. When: Friday 15th, come by anytime between 11 am and 2 pm. Where: There's a campfire behind the nature center. What to bring: Yourself and your family.